MAYS LANDING – A Galloway man pleaded guilty to leaving the scene of a fatal accident that claimed the life of an Atlantic City man last summer, acting Atlantic County Prosecutor Jim McClain announced. On Tuesday, June 4, Leo Strazzeri, 42, pleaded guilty to second degree leaving the scene of a fatal accident in connection with a hit-and-run that left 45-year-old Daniel Tavarez dead. On the evening of July 9, 2012, a vehicle driven by Strazzeri struck and killed Tavarez, who was crossing the crosswalk at the intersection of Route 30 and Pennsylvania Avenue in a motorized wheelchair. After striking the victim, Strazzeri fled the scene of the accident. The Atlantic City Police Department and the Atlantic County Prosecutor’s Office Fatal Collisions Unit responded to the scene. The victim was pronounced dead at the scene. An autopsy later certified the cause of death as multiple traumatic injuries. Police subsequently located the vehicle Strazzeri was driving unoccupied in Atlantic City. Strazzeri was issued multiple Title 39 summons (motor vehicle violations) including; leaving the scene of an accident, failure to report an accident, careless driving, failure to exhibit a driver’s license, failure to exhibit registration, uninsured motorist and reckless driving. Following an investigation conducted by the Prosecutor’s Office Fatal Collisions Unit and the Atlantic City Police Department Accident Bureau, acting Prosecutor McClain authorized criminally charging Strazzeri. 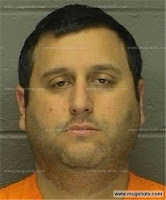 On July 19, 2012, Strazzeri was taken into custody and lodged at the Atlantic County Justice Facility. He was later released on $50,000 bail. 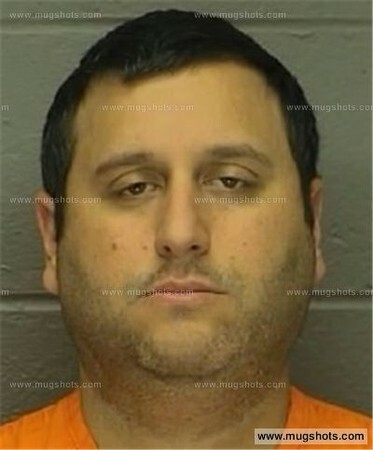 On February 19, 2013, an Atlantic County Grand Jury indicted Strazzeri. This week, Strazzeri entered an open plea agreement. In accordance with the plea agreement, he will receive a state prison sentence of between five to 10 years at the discretion of the Court. Strazzeri will be sentenced on August 2.